Have I ever told you all why I love Tuesdays so much? 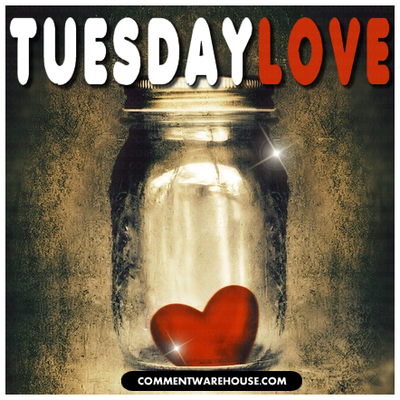 If you follow my facebook page you know I am always excited when Tuesday come around. Sometimes I wish everyday could be a Tuesday. Tuesdays are my one guaranteed “date night” with the love of my life. When life gets hectic and schedules take over it is even more important than ever to make that time for each other. Happily and excitedly, not reluctantly. It all started in the Summer of 2009. I call that “My Summer of Recovery and Discovery”. Maybe I’ll write a separate blog about that some other time 😉 Two friends took a chance and fell in love with each other. Because we were previously such good friends, all of our friends were all in the same group together. We all hung out together all the time. After Eric and I got together, it was difficult to find time alone together because we were always with all of our other friends. Back then I had discovered that he was also a fan of wine and wine tasting and we decided to have a “wine night” and try a different wine together. Tuesday became the day. It was a day he didn’t have band practice, a day I didn’t already have things scheduled with other friends, and a day that my roommate at the time did have band practice and was gone for the evening. Maybe that is one of the reasons, among many others, why our relationship keeps growing stronger and stronger. Through all the bad times and all the hardships we always come out on top. We make a conscious effort to ensure we have that time together. Relationships are hard work sometimes and require that maintaining and attention or they will become stagnant or fail. Ours will not. Some of my favorite Tuesday evenings involve the two of us cracking open a bottle of wine and cooking a fun dinner together. We come up with some pretty amazing concoctions in the kitchen. We love to play cards or board games and spend time with our furbabies. We often just relax out on the balcony with our wine and good conversation, talking and sharing with each other. Those are some of my most favorite times. Staying home, just the two of us and blocking out the rest of the world. Forgetting about our phones, the internet, television and other outside distractions and just enjoying each other. Every couple needs one night a week together like this! Whether you have children or not and no matter how hectic or busy your schedule is. If it is something that is important to you, you will make time for it. It is about priorities and you MUST make your relationship a priority. 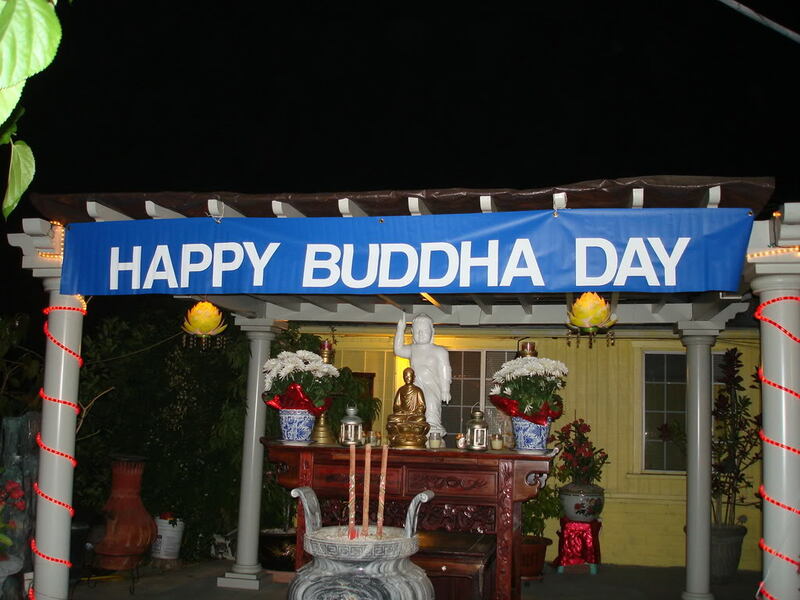 Each year, I republish my blog on Buddha Day, with some updates and modifications. Today, Wednesday May 14th, 2014 is a very special day for those of the Buddhist faith. 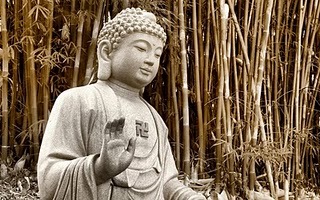 Whether you are a Buddhist, or like me and just identify and believe in the loving compassion teachings of the Buddha, today is a day to acknowledge and celebrate. Buddha Day, also known as Vesak, Vesakha or Wesak, is a celebration that encompasses the birth of the Buddha, his enlightenment Nirvana and his passing away, all on the same day. This day falls on the full moon of the 5th month of the lunar calendar, varying dates each year. This year it falls on May 14th. Many Buddhist celebrations occur during the full moon. This day is one of the most important observances and celebrations for Buddhists across the world. Vesak offers Buddhists an opportunity to reflect on the life and teachings of the Buddha and also highlights the potential for inner peace and happiness that lies within us all as well as a day for Buddhists to reaffirm their commitment to living a moral and compassionate lifestyle. As Eric reminds me, it is not how he died but it is a day to reflect on how he lived and the magnitude of his teachings, and that is the reason we celebrate. Most Buddhist countries declare this day a Buddhist Holiday and a day to remember the significant events in Buddha’s life. Many Buddhists acknowledge this event by visiting the Vihara, or Buddhist Monistary. This could also simply mean a secluded place in which to walk, reflect and meditate if there is no Monistary close to visit. During this visit to the Vihara, Buddhists would be dressed in white and bring flowers and incense or candles to pay respect to the Buddha. These symbolic offerings are to be a reminder that just as the beautiful flowers wither and die and the candles soon burn out, so too is life subject to decay and destruction. Many devout Buddhists would spend the day in the Vihara, from morning to night, taking a retreat from their daily schedule, meditating, chanting and participating in Dharma Talk or teachings of the Buddha. In many Buddhist countries selling and consuming of meat and alcohol is prohibited during the week of Vesak and the government will even closes down all liquor shops and slaughter houses. Birds, insects and animals are released by the thousands in a symbolic act of liberation, giving freedom to those in captivity and tortured against their will. This is considered an act of generosity, symbolic of generating good karma. The act also symbolizes the Buddha’s compassion for all things. While many sects of Buddhism typically calls for a vegetarian diet, there are also other sects which do not require this. During this time Buddhists who are not vegetarian refrain from eating meat. Buddhists make a special effort to refrain from killing of any kind and are encouraged to eat only vegetarian food for the day. To celebrate this day and the life and teachings of the Great Buddha, it is not necessary to go to a temple and participate in rituals if you can’t, don’t have access or would rather not. Many would prefer a day or even a moment of solitary reflection. It is not about the specifics in how one celebrates this day or the rituals performed, it is the simple act of recognizing and expressing gratitude to the Buddha for the teachings he has given. It is really all about personal preference and what is best for you as an individual. Maybe some would prefer a simple ceremony in front of a small shrine at home, or maybe a brief reflection on the qualities and teachings of the Buddha along with meditation. I have always admired and appreciated the teachings of Buddhism. When I met Eric and two of my most exciting surprises about him was that he loved wine and he was a Buddhist! He and I begun to discuss some of our Buddhist ideals and rituals and he taught me about the different days of celebrations as well as sharing his own personal rituals and ways to celebrate and give respect to the teachings with me. He is the one who taught me about Buddha Day and all other Buddhist holidays and from there i researched to find out more. This will be our fifth year together and this year, just as last year Eric will acknowledge and pay respect to this tradition and lifestyle by refraining from eating meat for the month prior, taking it a step further than just abstaining for the single day but also the day before and the day after. We do not have the opportunity to live in a Buddhist country and have the day off so we will begin our evening by having a Buddhist feast consisting of Sushi (vegetarian Sushi for me) and miso soup, just as Eric and I ritualistically do every year. Then we will have our own ceremony of reading from our Buddhism books together and meditating in front of our shrine. I am thankful, grateful and appreciative that Eric has shared his religion, tradition and rituals with me and we have incorporated this as part of our lifestyle together. Even if you are not Buddhist or have never studied any of Buddha’s teachings, everyone can learn a lot from the Great and Wise Buddha. In today’s society we are killing each other, we are killing our planet in which we live. In my opinion, there is a huge lack of compassion and consideration in everyday human life. What can we learn from Buddha? That non-violent living is the way to go. That we need more peace, love and compassion to create the positive energy our society is lacking, and to help promote good Karma throughout our lives. We need to expel hatred, greed and stupidity from our lifestyles. Happy New Years! Good bye to 2013 and hello to 2014. With this New Years falling on the New Moon, it is all about new beginnings, making a fresh start. Wipe the slate clean and say good bye to all the negativity. Start this new year off the way YOU want it to be and keep the ball rolling to make this the year you want it to be. This year, it is all about a new and fresh start! Change your perspective and point of view and look at life through a pair of fresh eyes. Fill this year with kindness, love and compassion. Live with excitement instead of fear! Let this year be all the adventure you have hoped for. Want it and make it happen. Be motivated and wild, let your spirit dance and sing. Don’t let complacency and dullness rule your year. Life the most full, exciting and free life possible. Wish for it and make it happen. Life the life you wish to live and be the person you want to be. There is nothing stopping you or holding you back. This is the year to make it happen. The last few years it has been really important to me to come up with my own traditions and customs, and for Eric and I to develop our own traditions together. Incorporating some of the things we knew in childhood and growing up, as well as things from our heritage or things that came along with our new beliefs and ideals we developed in adulthood. One of the most interesting traditions I have learned about trough my research that we have put into practice in our own New Years Eve traditions is called First Footing. First Footing is and old Celtic tradition. In Scottish and Irish households, to ensure luck and good fortune for the year ahead, the first person to enter the house after the stroke of Midnight on December 31st, on New Years Day has to be a tall, dark, and handsome male. It is believed to be a symbol of good luck in the coming year.A red-headed female would be the last person you would want to enter your door as red hair was considered a sign of the unlucky and would bring hardship and grief. It is also said to be unlucky for the first footer to come empty handed. Some of the traditional gifts include whisky or some form of alcohol, coins, coal or a loaf of bread. The way Eric and I have incorporated this into our own traditions is that no matter where we are or what we are doing, when we arrive home after midnight on December 31st, he is always the first to enter the door and cross the threshold – as he is the tall, dark and handsome one of the two of us! Me, the red head… enters last. He carries coins in his pocket as the “traditional gift” to the new year. An interesting Pagan New Years Tradition is to place a silver coin on the porch before midnight. Then on New Years Day retrieve the coin and throughout the entire year, it is said that money is sure to arrive when it is desired. This is a small new little tradition I may incorporate this year. By placing some coins outside on the balcony under the darkness of the new moon, I will set the intention for a prosperous new year filled with wealth and health. Each year, since a child, eating cabbage has always been a part of my New Years meal. As a child mom used to make pork and cabbage, but now as a vegetarian I skip the pork. It is said to bring health and good fortune for the coming year. And of course, don’t forget the New Years Eve festivities. Fun, partying, sharing of champagne, the midnight toast, the first kiss of the new year with that someone special… all are on my list of traditions yearly. But whatever you do, have fun and be safe. If you plan to be out sharing too much champagne, designate a driver or call a cab. Please think of yourself and others. No one wants their New Year to start out with an arrest, an accident, an injury or worst of all, a death. Remember, this is the year for a new start. All of the negativity, bad habits, problems and difficulties of the years past, leave them at the door. Another tradition is to “sweep” out all the negativity and bad and all the old you have no use for in the new year. Open up your door and physically sweep it out, setting the intention and make a ritual of it. Making room for the new, for the positive and for the good. Making room for your new dreams and desires. A clean slate. This year is yours!! 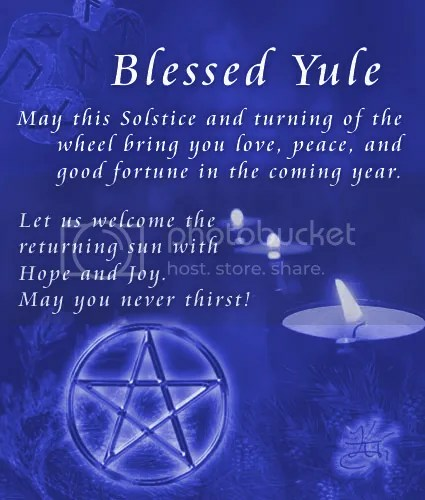 Happy Winter Solstice to all and Blessed Yule! 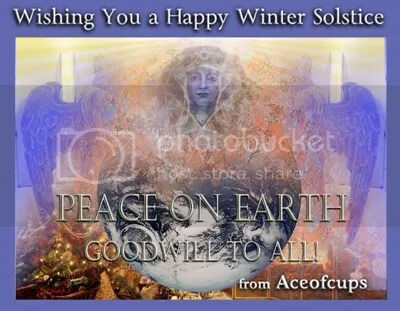 Today, December 21, 2013 marks the Winter Solstice this year. This is officially the first day of winter, the longest night and the shortest day of the year. Winter Solstice is also known as Yule, Christmas and Saturnalia. In the Northern Hemisphere, the Winter Solstice is typically around December 21-23rd and is the day in which the sun’s path stops moving toward the sky. Solstice literally means “sun stands still. Days will now stop growing shorter and will start to lengthen again. This is a time for festivals and celebrations for Earth, for the new Solar year and the beginning of winter. The solstice is linked to the idea of rebirth. It is a time for inner renewal. Today we welcome back the Lord of Light. Tonight is the Winter Solstice and will be the longest night of the year, it is a magical time of transition. After this day the nights will start to get shorter and the days will become longer. As the waxing Sun grows in strength in the coming months the earth will start to blossom once more. Build a fire of Oak in honor of the Sun God and speak your wishes into it’s flames for the coming New Year. Eat drink and be merry. I have my own tradition as a way of celebrating. I started my ritual Winter Solstice celebrations four years ago in 2010, and have carried on some of my own same traditions, as well as created new ones to develop the holiday as well as ways to include Eric and develop new traditions for us together. Whether it is Christian or Pagan or Traditional or whatever you want to call it makes no difference to me. This is something i started for myself, four years ago while i was going through a very difficult life transition. I had always celebrated the Christmas holidays with my family as a child. However, as i got older and begun to develop my own beliefs and ideas i started to question my reasoning for the celebration. What it boiled down for me was a time to share and spend with family and loved ones. During the Winter Solstice of 2010 i was in Wichita, KS with no means to spend the holidays with my family in West Virginia. I had begun researching the Solstice in terms of traditions and meanings behind the celebration and it made sense to me, and made me happy. I wanted to come up with MY OWN tradition to celebrate the Solstice. I had always celebrated or at least acknowledged the Summer Solstice so it only made sense to me to celebrate the Winter Solstice as well. The way our culture has come to celebrate the December holidays often leaves me feeling more miserable than merry. All of the shopping, the stuff and the stress seems to crowd out the anticipated joy of the season. I decided to start a new tradition: honoring the original December holiday, the winter solstice. The winter solstice as well as the summer solstice have become two of my favorite holidays and reasons for celebration… mainly because it is completely rooted in nature. It is not commercialized or stressful. It doesn’t matter what one believes or doesn’t believe, it just is. People from the Celts to the Hopis have celebrated the solstices for over centuries. I came across a website, EcoHearth, that had some really great ideas for celebrations and they had a recipe for Winter Solstice Vegetarian Chili. I make that chili every year now! I spent that first year alone, enjoying my chili, delicious wine, lighting candles and meditating. After that, Eric joined me in my celebration. Along with my Winter Solstice Chili and wine we read stories and passages to each other about the Winter Solstice and celebrations and meanings. Last year we started a new tradition for the two of us and incorporated a Yule Log into our celebration. We took a day and went out in nature, in search of the perfect log along with all the greenery and adornments to make it perfect. We stopped into the A.R.E to get a special devotional candle and decorated our log together. This is another tradition we will carry on. We then keep our log and burn it during our Summer Solstice Celebration. Today is a beautiful day in Virginia Beach. I will start my special traditional Winter Solstice Vegetarian chili in the crock pot and Eric and I will head down to First Landing State Park in search of the perfect log and greenery to decorate it with. I plan on going to the A.R.E for another new candle to add to last years. We will come home and decorate our log, enjoy our chili and wine and special holiday ale, relax and enjoy time together. After our log is done, we will have a special meditation session with our log, blessing it and preparing it for us, energetically. Gifts aren’t really a big part of our celebration, but this year we decided to get each other flasks for our Solstice. We thought it was a fun idea and neither of us have ever had one before. I also went out and got some special new toys for the girls to enjoy. The Winter Solstice is a time for new beginnings. To reflect over the previous year and plan for the new year. Some traditions say that the mood for this day sets the tone for the year to come. Suggestions to create a great year ahead are to let lose and have fun! Drink, be merry, feast, dance, sing, make love and enjoy your day. Do not let the stress of daily life infringe on the day. Do the things you enjoy and set the tone for a great year to come. I plan to! There are many rites, rituals and celebrations that are historical or traditional, and I took the ones that made sense to me and geared the celebration toward myself and what felt right to us. If you are interested, here is the link for my traditional Winter Solstice Vegetarian Chili. Disregard all the mess on my coffee table. The important part if this picture is the empty bottle of Port and the two delicious looking drinks! Eric and I have been together for almost 4 years now, 4 years next month. When we first go together our lives were hectic and we had our group of friends around us much of the time. It was hard to find that time alone. So just several weeks into our relationship we came up with our Tuesday Wine Nights. Tuesday was a night that he didn’t have ban practice, and my roomates at the time did have practice and were gone, so we made that our night. A night for Eric and Bobbi and nothing else. As much as our lives have changed since then, that is a tradition we still carry on. There have been some nights here and there where we have had to postpone or make it up another night because of work schedules or other things, but for the most part we always have that time together. After we moved here to Virginia Beach, we started to mix it up a bit and take turns planning out the activities for the evening. What we would do for dinner, cook together, go out, or maybe a picnic on the beach, scrabble on the balcony… just taking turns planning the night. Along the way, we have somehow gotten away from the habit of taking turns, but we still set aside that evening together for us. Last Tuesday was one of the best Tuesday wine nights we have had in a long time. It was an absolutely perfect night! Just what I needed, and what we needed. I got home from work and we ran out to pick up our mead for Saturday’s Summer Solstice camping celebration and stopped at the store to grab something to make for dinner. Homemade garlic and onion pizza and Port! We ate our pizza out on the balcony until it started to rain on us. We talked together to plan our upcoming camping trip and things we needed while listening to awesome music. We had dinner, finished up our bottle of Port then played with the girls for a while. They all three were so happy to have mom and dad home together, and to be getting a lot of attention too.. especially Nefertiti. Then we gave them some treats, making them even happier! 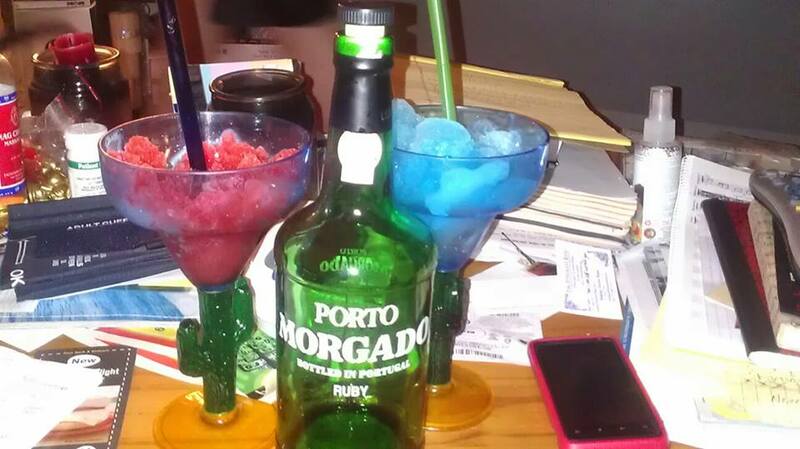 After finishing up our Port, we had some yummy frozen drinks in my favorite cactus cups. Blue Hawaiian and Hurricanes while We watched the finale of The Voice, to find out the winner before it was shared on face book and tv… even though we don’t usually watch tv or tune into the real world on our Tuesday nights. Definitely what I needed, what we needed! What an amazingly incredibly wonderful trip! Eric and I went camping to celebrate the Summer Solstice. He had class Saturday morning, so while he was at class I spent the morning getting the food all ready and everything all packed up. When he got home we packed up and headed out. It started to look like it might rain, but we were lucky and it didn’t rain on us at all the entire night! We had a spectacular full moon, a supermoon in fact! This was the first time we had ever camped at First Landing State Park in Virginia Beach. It is as close as you can get to camping on the beach, I think. We checked in and drove around to find the perfect spot. Reservations are not site specific so they tell you what area has openings and you go find what you want, and claim it. The majority of the sites were already booked up since I believe it was a sold out weekend, but we ended up finding a great spot. And we got lucky enough to have the campsite beside us vacant so it helped to feel a little more secluded and private. First thing first, time for a beer! We cracked open a couple bottles of Yuengling, made a toast to us and our weekend and begun our celebration! We got the car all unpacked and started to put up the tent. Ha ha ha That crazy little pop up tent took us probably about 45 minutes to put up. Time for another beer. It appears everywhere we tried to put the stakes in, there was a rock bed under the dirt so we had to keep moving it around to find a spot where we could get the stakes through the ground. Before dinner, there were a couple of trees calling my name! I Love Love Love climbing trees! 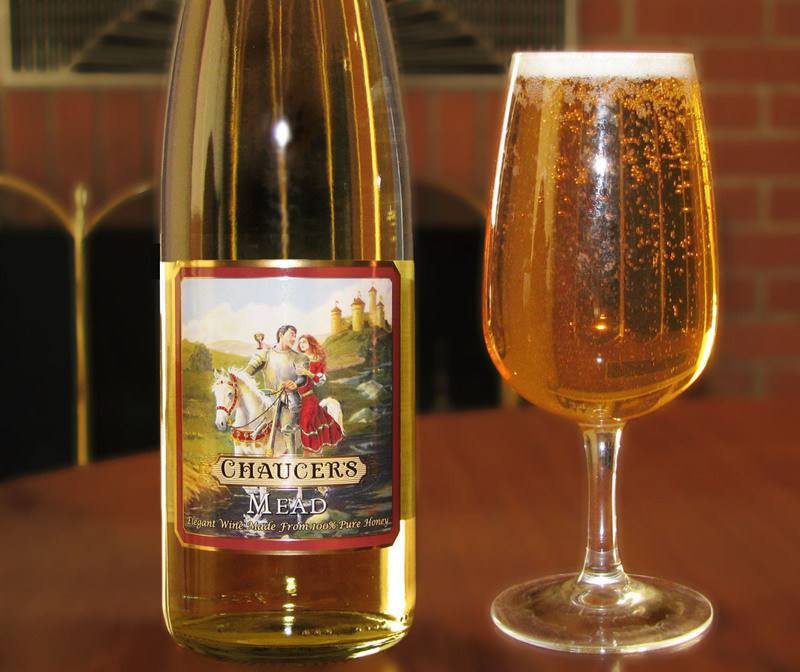 Time to fire up the grill and get dinner started and open up the mead. After a delicious dinner of tofu pups, grilled veggies, corn on the cob, and a steak for Eric we lit up the camp fire. We had so much fun just sitting by the fire on a blanket on the ground, drinking mead, talking and enjoying the moment. Enjoying each other. Our Summer Solstice tradition is fire and mead. In whatever form available to us. This year we tried something different enough and new and went camping, to have the real fire, rather than just the fire from our grill. We used the greenery from our Winter Solstice Yule Log to get the fire started and after the fire was roaring we burned our Yule Log in our fire. It is said to bring good look and prosperity in the upcoming year, and we decided that rather than burning our log on the Winter Solstice, we would save it until the Summer Solstice and then burn it. The start of a nice new tradition for us! After two bottles of mead, a six pack of beer, a delicious grilled dinner, quality time by the fire with the one you love, climbing trees, peeing outside in nature, and toasting marshmallows we decided to take a walk around our campground loop and find the beach. It was probably sometime after midnight and the campground was so quiet and peaceful. Pretty much everyone was already asleep and it felt like we had the whole place to ourselves. We walked along the beach and out to the ocean with the brightness of the full moon guiding our way. It was a perfect night. Everything was incredible. I feel so happy and blessed to have such an amazing time. I got up early this morning… unfortunately not early enough to see the sunrise… but early enough to light up the grill and make some fried rosemary potatoes and onions and peppers with some coffee for breakfast before we had to check out. It was definitely just what Eric and I needed, especially after some of the difficulties we have had. Communing with nature is the perfect remedy to help combat any of that leftover negative energy still residing inside. To just get away from the “real world”, focus on the two of us and forget about everything else. Summer Solstice = Fire and Mead…and Dancing! The Summer Solstice is Friday June 21, 2013. The Summer Solstice is a major celestial event in which civilizations have celebrated the great power of the sun for centuries. Also known as Midsummer, this day marks the first day of summer. It is also the longest day and the shortest night of the year. The word Solstice is derived from Latin meaning sun to stand still, Sol+stice = Sun + to stand still. As the day lengthens the sun rises higher and higher in the sky until it seems to stand still, at its highest point in the sky. Early Celtic civilizations celebrated the first day of summer with dancing and bonfires, helping to increase the sun’s energy. Chinese honored Li, the Chinese Goddess of Light. Druids would celebrate the day as a marriage of Heaven and Earth, resulting in a modern-day belief that it is “lucky” to have a wedding in June. Every year, thousands of people gather at Stonehenge at sunrise where the sunrise is welcomed and Summer Solstice is celebrated. Pagan and earth-based tradition festivals take place where groups of people gather to light a sacred fire and stay up all night long to welcome the dawn. Oak is the wood of choice, the oak tree is associated with strength, stability and the sun. Celebrations included bonfires where couples would leap through the flames with the belief that their crops would grow as high as the couples were able to jump. It is also believed that the bonfires have great power and that prosperity and protection cold be received by jumping over them. Cold embers from fires were charms against injury and bad weather during harvests. They were placed around fields and orchards of crops to protect them and ensure abundance. The ashes of the fire can also be spread on the garden, said to aid in fertility, and walking through the smoke of the fire was traditionally believed to cure sickness and bring good fortune. Newly married couple jumping through the flames of a bonfire. Midsummer is thought to be a time of magic, when evil spirits were said to appear. To rid them off, Pagans often wore protective garlands of herbs and flowers. Pagans believe it is an excellent time for weddings, communicating with nature spirits and divination. It is believed that the boundaries between the worlds are thin and the portals between them are open, especially at twilight. One other traditional Summer Solstice activity was doing cartwheels down a hillside. In this tradition, the wheel represents the wheel of life. Some modern celebrations include a wheel firework display, very appropriate for this “fire festival”! There are many different types of celebrations or festivals to celebrate the Summer Solstice. 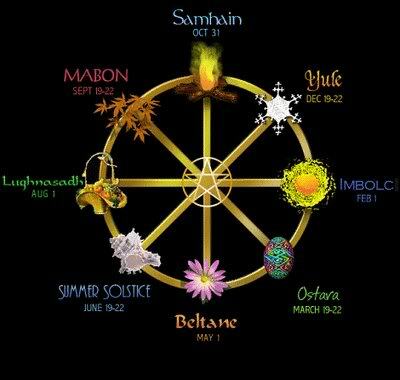 I love the Summer Solstice and the Pagan idea of it rooted in nature and honoring Mother Nature. I love to develop my own celebrations or rituals to celebrate days like this. When Eric and I got together, I wanted to come up with a celebration ritual for the two of us to enjoy each year. I took a couple of the ideas of what Summer Solstice is and put them together for something fun for us. With it being the “festival of fire” and a day to celebrate the power and energy of the sun i wanted to incorporate fire into our celebration. Living in an apartment, it was always hard to create a bonfire so we decided on a simple fire ceremony involving our charcoal grill and whatever food we choose to grill! 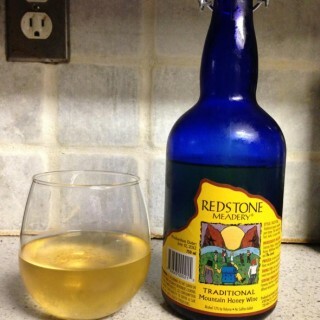 Another aspect i incorporated into our ritual was the drinking of Mead, which is Honey Wine. The Pagans called the midsummer moon the “honey moon” named after the honey wine Mead drink that was a popular drink as part of summer solstice wedding ceremonies. Each year our Summer Solstice celebration will consist of Fire and Mead! I am sure it is something we will continue each year, maybe modifying or adding something to adjust our lifestyle at that time, but it will always include Fire and Mead! These are the two kinds of mead I got for this year! This year, on Saturday the 22nd, rather than the 21st (because of schedules) Eric and I are going to go camping for the night. We are going to build a great fire, burn our yule log from the Winter Solstice, drink our mead and dance together around the fire! Too bad we will be in a public state park… because drinking mead and dancing around the fire….NAKED… sounds like the perfect medicine for all that ales.. 😉 I am really excited about this celebration, ready to climb a tree and pee outside! And to celebrate the Summer Solstice with the man of my dreams. We saved our Yule log from Winter Solstice and will start our fire with the wood from our Yule log. Saving the Yule log is said to bring good luck, then to burn it during the following Summer Solstice helps to release the past and move forward. Something that would definitely be beneficial for Eric and myself. Find a way to celebrate the Summer Solstice. Whether it be rooted in religion or nature get out and enjoy the longest day of the year!